SerraLux develops products which Harness the Power of Daylight; to improve our homes, schools, and work spaces with more of nature’s gift of natural illumination. And, in the process to reduce the need for costly artificial lighting because—because daylight is free! LIFX is an LED smart light that uses Wi-Fi to bring vivid color to your home. A simple-to-use app allows you to fine tune experience; control a single light or your entire home. Greenlight Concepts is a small design company based in the San Francisco Bay Area. 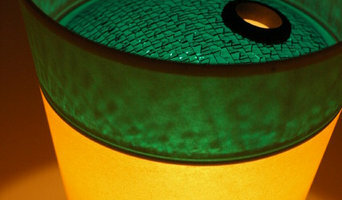 We create retro-modern lighting fixtures using glass lenses upcycled from discarded traffic lights. Across the United States, giant truckloads of red, yellow, and green lenses are tossed into landfills as cities upgrade to more efficient lighting technology. We're reclaiming these glass artifacts to create our line of lighting fixtures, which we hope will find a place in your home or business! Innoled Lighting, Inc. is a wholesaler and supplier of energy efficient residential, commercial, and outdoor LED lighting solutions based in the Silicon Valley. Innoled Lighting Inc. is a subsidiary of ShenZhen 3NLED Lighting, an LED technology developer and manufacturer. We are known for carrying high quality LED lights, LED tube lights, high bay LED lights, candle LED lights and much more. We have warehouses located on both the west and east coast United States for your convenience; one in Fremont, California and another in Atlanta, Georgia. We are committed to providing the highest level of customer service and support that will provide a unique experience encapsulating the ultimate in product knowledge and customer satisfaction. We create, manufacture, and distribute a line of color LED lighting products that can be controlled by your smartphone through Bluetooth-Smart technology. Tough Lighting offering high quality Cree LED Driving Light Bar for Trucks at Wholesale Price, Get excellent light output and efficiency. Turn your night in day with LED truck bar light. Stunning custom lighting creations. Hand made in the USA. iawei Technology (USA), is an innovative LED lighting company that has been leading the retail and commercial markets in North America for the past 20 years. Jiawei prides itself in keeping pace with innovation, and continually improving product performance by incorporating new technology for the global markets it serves. For more information about Jiawei, visit www.JiaweiTechnology.com. 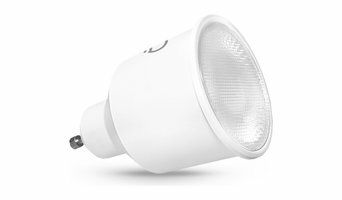 For more information about MAXIMUS® Smart Security Light, visit www.MaximusLighting.com. Sola-Brite has been the premier dealership since 2003, specializing in the design and installation of Solatube® Daylighting Systems, and the "whisper- quiet" solar-powered attic fan by Solatube® called Solar Star®. 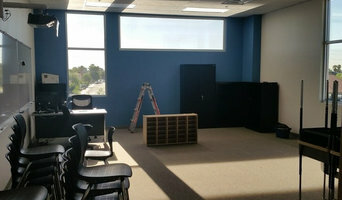 Sola-Brite's Solatube Daylighting Systems are a simple and affordable way to brighten any room in your home or office. The revolutionary design utilizes patented technology to capture sunlight on the rooftop, redirect it down a highly reflective tube, and diffuse it throughout your interior. Our customers are amazed at the clear and bright transformations of their spaces.